← Kids do the darndest things! Markatos Services Inc. is an old school cleaning company. We don’t beat around the bush when it comes to serving our customers. We are NOT a franchise. We treat our customers like family! As a family owned and operated cleaning company, we have been serving New Castle County, DE for almost 30 years now. Markatos Services Inc. is an old school cleaning company. When I say “old school” I mean OLD SCHOOL! We are not a maid service; we are a cleaning service. We don’t dust your house and then leave. We thoroughly clean your home from top to bottom. We get on our hands and knees to clean your floors. We don’t spray and squeegee your windows. We wash them by hand. Markatos Services Inc. is a professional cleaning company with a personal touch. 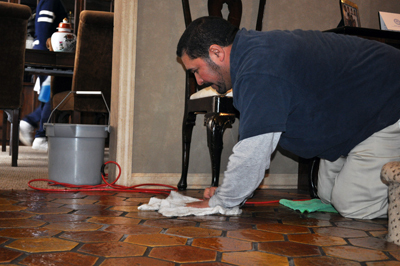 We go above and beyond to make your house shine. Visit our website to view more cleaning photos! Call for a FREE cleaning estimate. This entry was posted in Markatos Services Inc. and tagged A Cutting-Edge Cleaning Company in Delaware, annual, Best Cleaning Service In Delaware, Carpet, Cleaning, cleaning industry, Community, company, Deep Clean, Delaware, Environmentally Friendly, Floors, get organized, Greek, Green Safe, Groupon, handyman, House, house cleaning, Maid, maids, maintenance, Markatos, markatos cleaning, new cleaning products, Old School Cleaning, Painting, Pet Friendly, Power Washing, Pressure Washing, Referrals, Repairs, respect, Service, spring, spring services, spring-cleaning, Stress Less, technology, Tile and Grout, trends, Trust, Trustworthy Cleaning Company, Wilmington, Window Washing, Windows. Bookmark the permalink.